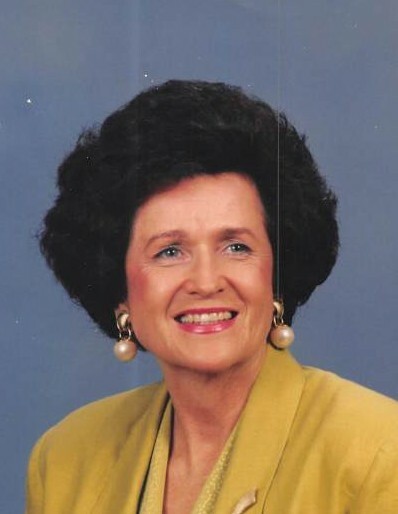 Betty P. Mullis, age 81, of Douglas, Georgia passed away on Tuesday October 16, 2018 at Twins Oaks Convalescent Center, Alma, Georgia. Mrs. Mullis was born on November 21, 1936 in Mississippi the daughter of the late Delbert Pharr and Edna Waddell Pharr. Survivors include a daughter, Kathy Cole of Douglas, GA; son, Pharr Mullis of Douglas, GA; two sisters, Carolyn P. Smith (husband Harry) of Pearson, GA and Mary Torelli of Douglas, GA; three grandchildren, Hilary Cole, Steven Mullis (wife Abbie) and Blake Mullis (wife Molly); four great grandchildren, Jaycee Mullis, Carter Mullis, Reese Mullis and Kate Mullis; several nieces and nephews. Funeral services will be held on Saturday October 20, 2018 at 2:00pm at Axson Evangelistic Church with Rev. Javaris Wright officiating. Interment will follow in the church cemetery. The family will receive friends Friday evening from 6 until 9:00pm at Sims Funeral Home. Pallbearers will be Stephen Mullis, Blake Mullis, Greg Mullis, Chase Mullis, Wayne Smith and Mark Roberts. Musical selections will be “It Is Well” and “I Can Only Imagine” by Javaris Wright.